Disturbing. On the one hand, knowing someone with AIDS is likely to make the risk more salient. On the other, you’re supporting the branding of someone you know. 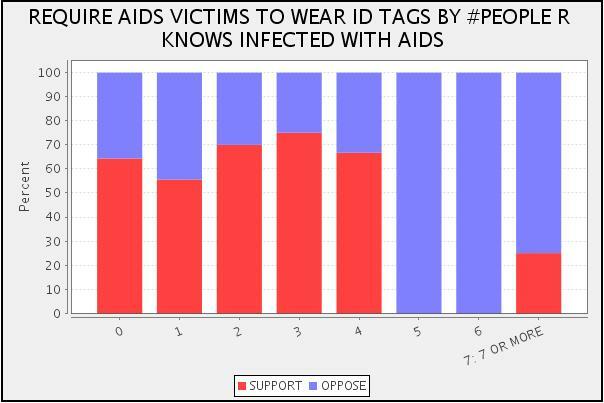 The number of people surveyed with three or more acquaintances with AIDS is tiny, so it doesn’t tell us much; but I suspect knowing lots of people with AIDS is a good proxy for being well-integrated into the gay activist community, which should decrease support for tagging.